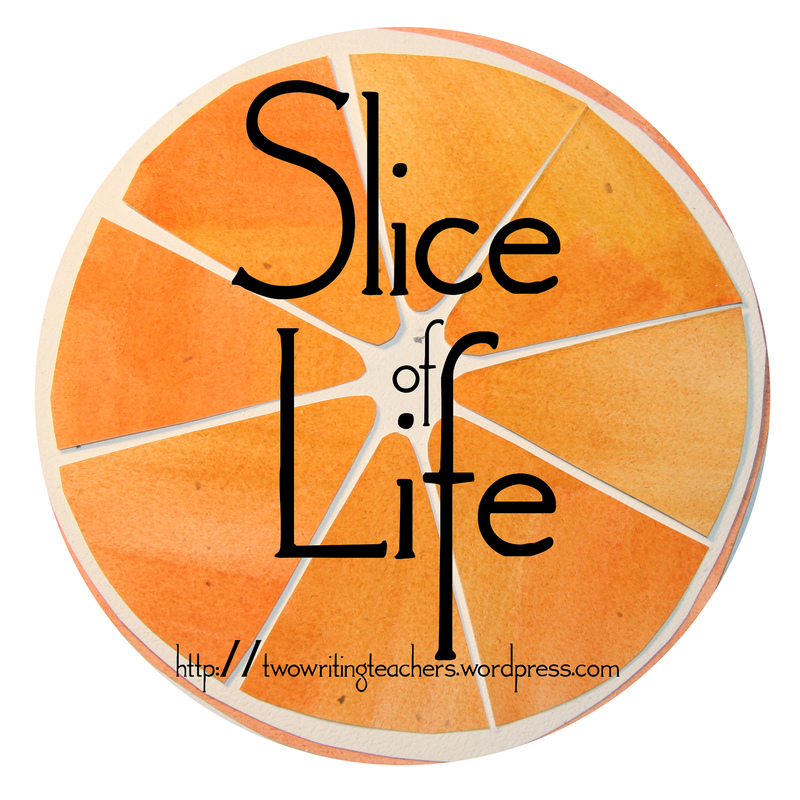 Share Your Slice of Life: It’s SOL Tuesday! Welcome to November everybody! Maybe this is your first time joining us for our weekly Slice of Life Story Challenge. If that’s the case, we’re so glad you’ve decided to join in the fun! All you need to do is write a story from your life and post it on your own blog. Then, leave a comment below containing the permalink to your post. Click here if you do not know what permalink means. (It’s okay, we were all new to this at one point!). 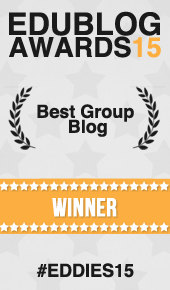 Next, read and comment on at least three other bloggers’ Slice of Life Stories! Then sit back and enjoy all the writerly love that you will receive in return! For all you veteran Slicers out there, we encourage you to branch out and comment on a newcomer’s post if you can spare a moment! That’s how this community grows. We’d also like to invite you all to follow our current blog series. This week we are all sharing tips on how to manage a classroom full of individual needs and goals, and stacks and stacks of notebooks and folders! And, on Monday, November 10 at 8:30 EST we’ll host a Twitter Chat on this topic. 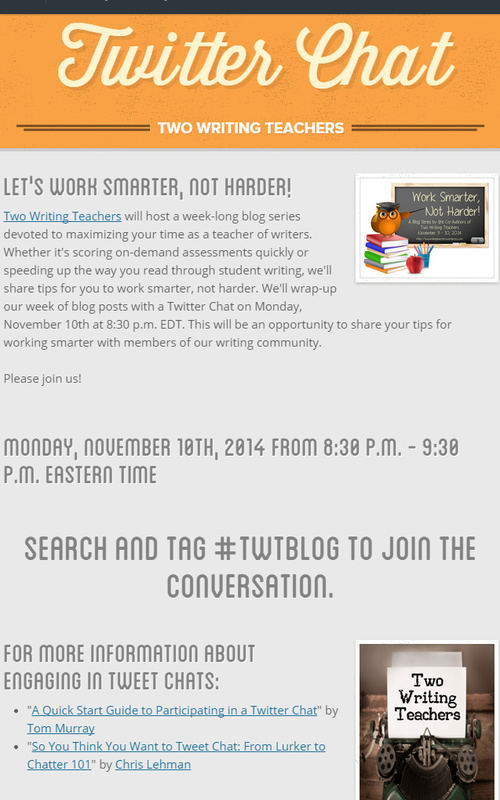 Join us with the hashtag #TWTBlog. Hi, my slice is a poem: http://www.maryanderingcreatively.com/two-shoes-tuesday/poetic-praise-dancing/ Hope you enjoy. A little slice about what’s different … thanks for your words today Mom, Dana, and Elsie! Sometimes, our weeks are more sad than happy; then, an image pops into the feed that makes us smile. That is my world today. I’m not even sure I can post here like this. I’ve gone private. Hope you all can still find me. Permission granted. But I tried commenting on other people’s posts, and I couldn’t. Just recently found this blog & the Slice series. Jumping in a little late this evening, but today’s NaBloPoMo post on my blog is certainly a personal story as my baby sister (34) begins her fight against breast cancer. Words from a dying young woman and a challenge by Terje inspired by slice today. A trip to the library is always rewarding. Have you gone to the polls yet? We did! Percy grabs one last post! Our golden retriever, Dave, had a rough time with his ACL surgery, but he got the all clear today! Some misplaced things just can’t be found…at least for a while. My first round of parent-teacher conferences. Sometimes truth is stranger than fiction. I wasn’t going to blog this morning! (But then I read…and I couldn’t help it.) 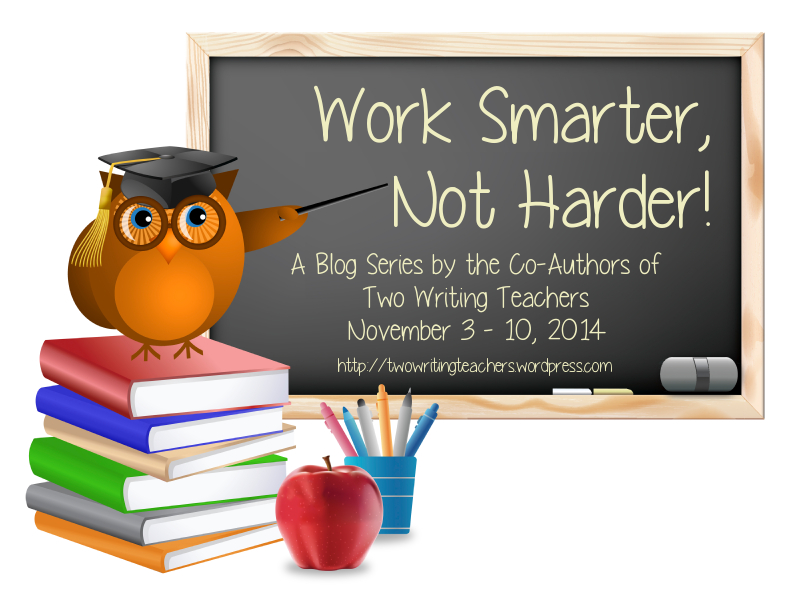 And I’m looking forward to this series on Working Smarter! Thanks! WOW! November, New blog series, upcoming chat . . . So much learning! My post today is about my #OLW – Transfer! JB and I are at the farm. Here is a bit of an update and some pics. Just a few thoughts on my Guatemala trip. Too tired to think or write. The story begins next week. A digital story thanks to my friend, Terry, who mailed me seeds in the spirit of connections. Love the blog series! Can’t get enough of time saving smart strategies. My slice on the my need to reconnect with images. Thinking about one little word…..dance.